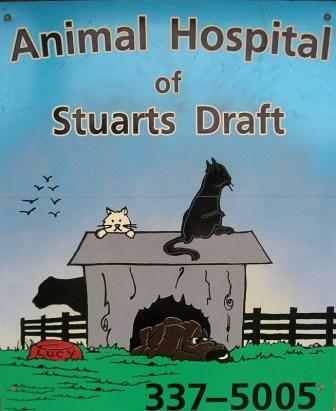 Welcome to the Animal Hospital of Stuarts Draft! Founded in 1995 by Dr. June Cohron, this small animal veterinary practice includes two full-time veterinarians and a team of twelve dedicated support staff. We are proud to be located in the heart of Stuarts Draft and offer the best in veterinary care for all companion animals. From examinations and vaccinations of healthy dogs and cats to chemotherapy, surgical procedures, and nutritional consultation, we offer top-quality veterinary medical services at reasonable prices. 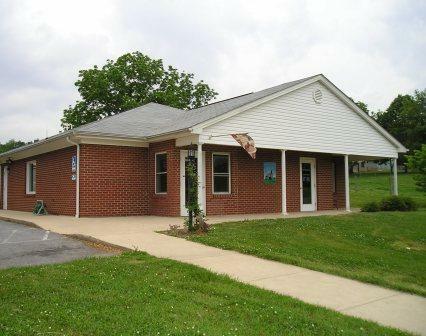 The Animal Hospital of Stuarts Draft is located on Route 608 (Draft Avenue) just 0.3 miles east of the intersection with Route 340 (Stuarts Draft Highway), just a short distance from the Guy K. Stump Elementary School. We wish to treat your pets as if they were our own. We do not give up. If it is your pet's best interest, we will try any accepted medical treatment to help him and you. We will refer your pet to area veterinary specialists as needed. We believe in offering the most advanced medical and surgical procedures and strive to maintain a modern hospital as well as a highly-educated staff. We believe in the alleviation of pain for our patients. Our doctors prefer to work by appointment, but will make every effort to work in injured and sick patients. To schedule an appointment with your pet, please call 540-337-5005 during the hours listed above. 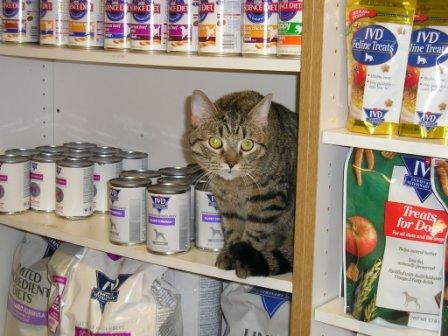 Emergencies beyond our regular hours are referred to Veterinary Emergency Services at 540-248-1051. Click here to view see an instructional video on using Tramadol transdermal gel for pain management in cats.